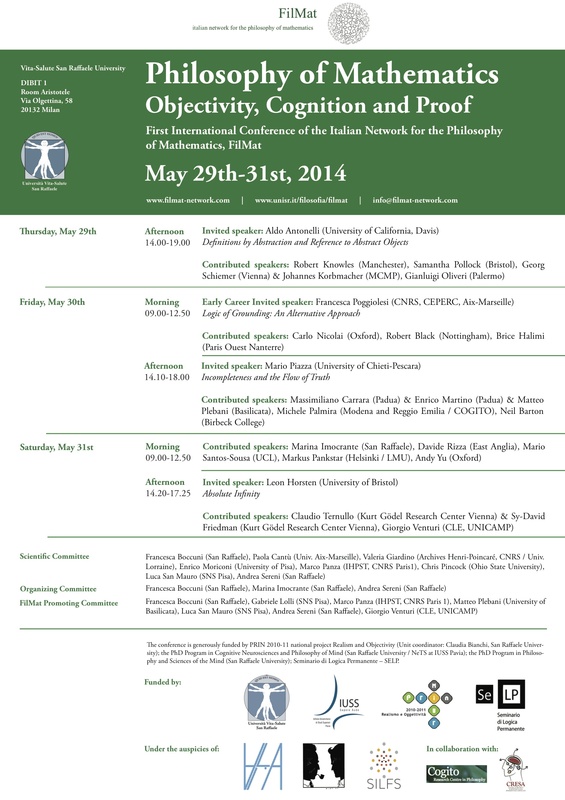 The FilMat network is pleased to announce its first international conference, Philosophy of mathematics: objectivity, cognition, and proof, that will take place on May 29-31 2014 at San Raffaele University, Milan. Please, visit the conference website for detailed information on the conference, for conference programme and abstracts, for directions to San Raffaele University and for suggestions of suitable accommodations in Milan. Questo articolo è stato pubblicato in Home il dicembre 6, 2013 da filmatnetwork.